Uni­ver­si­ty of North­west­ern-St. Paul women’s golfer Sarah Poppe­ma tees off dur­ing the Bethel Uni­ver­si­ty Tri­an­gu­lar on Sat­ur­day, Au­gust 31, 2013. 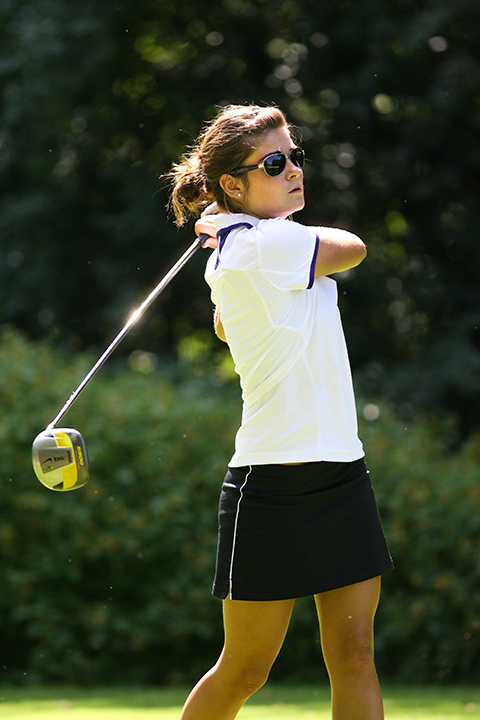 Poppe­ma lead the Ea­gles with a 16-over-par score of 87. This pho­to, along with many oth­ers is avail­able at d3photography.com.